I just finished the coolest project (saw the pattern at my BERNINA Dealer, Nancy’s Calico Patch)!! And discovered some new favorite sewing tools. The pattern is “Classmate” by Atkinson Designs. This is the first time I’ve sewn with clear vinyl – and it was amazingly fun!! 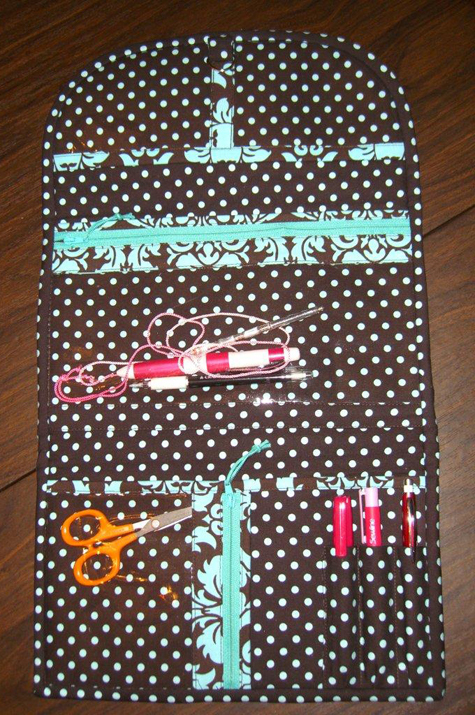 The sewing instructions are nice and clear – especially the technique tips! She said to use tissue paper between the vinyl and the feed dogs when sewing with the vinyl side down (it tears cleanly away after stitching). And use a walking foot when you sew with the vinyl side up. I used a regular size 80 needle and regular sewing thread and I had no problems at all. In all, I used Edgestitch Foot #10/10C, Clear Foot #34/34C, Zipper Foot #4, and Walking Foot #50. My best personal discovery was how nice the Sewline Glue Pen works for this – the instructions called for clamps to hold the vinyl in place (you can’t use pins on vinyl unless they’re in the seam allowances) – but the glue “basting” was just perfect. I also love how the fusible woven Pellon Flex Shape made the fabric so much nicer – more substance with beautiful flexibility. This is the first time I’ve ever used Flex Shape – and I’m adding it to my list of “must haves” for sewing! The same goes for By Annie’s Soft and Stable – love that stuff!! 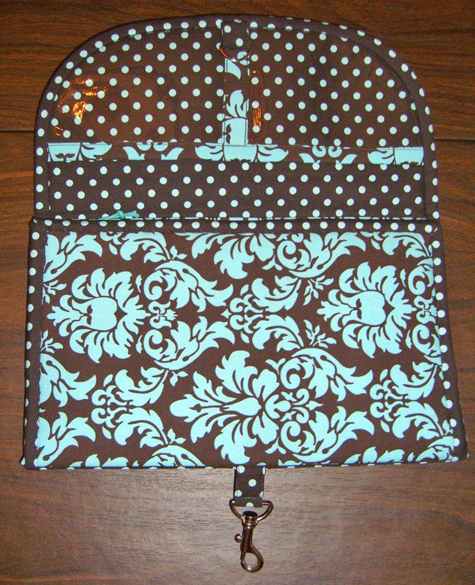 I also was so impressed with the zipper pulls – too cleverr! Who would have thought to cut out the zipper coils (from the leftover zipper pieces) and use them for a knotted zipper pull?!! This was such a fun project (probably because the directions were so nice and it actually turned out!!! LOL)!! 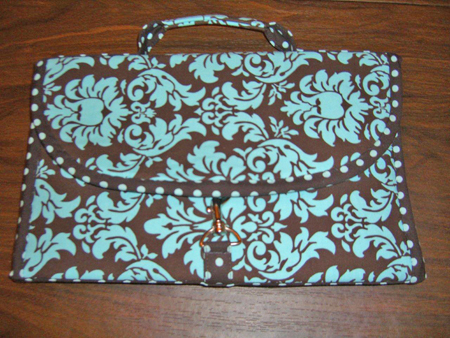 I’m no longer afraid of sewing on vinyl – I see so many possibilities. Now that I’ve made one, next time I think I’ll personalize it with embroidery, too!! P.S. The fabric’s are Dandy Damask and Dumb Dots by Michael Miller.